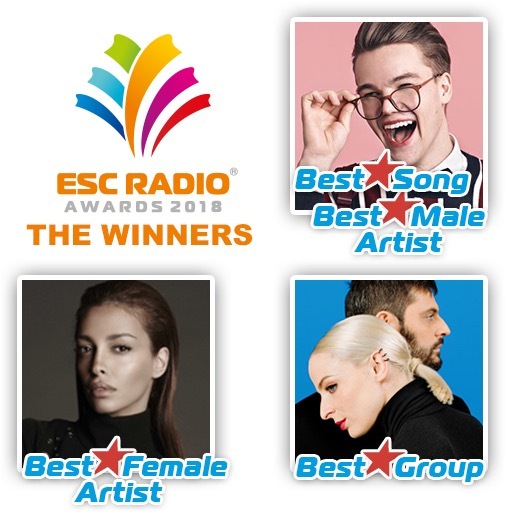 After one week of voting, 2-10 June, we are happy to announce the winners in the 2018 ESC Radio Awards! The Czech Republic’s Mikolas Josef took the overall victory, winning Best Song with his self-penned Lie To Me and 25,21% of the vote, and the Best Male Artist category with 33,43%. Congratulations! Since the ESC Radio Awards were initiated in 2006, this is the first time for a Czech representative to win an Award, and the seventh time that an entry that did not win the televised Contest takes a double victory. 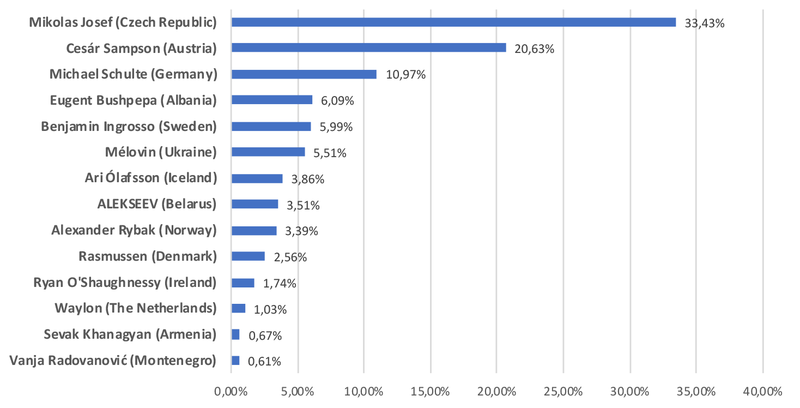 In the Best Female Artist category the trophy goes to the Cypriot entrant Eleni Foureira (24,84%) beating Netta from Israel into second place (12,69%), while Lithuania’s Ieva Zasimauskaite finished third with 9,85% of the vote – the first time ever for a Lithuanian entry to achieve a top three result! Runner-up in the Best Male Artist voting is Austria’s representative Cesár Sampson (20,63%), followed by Michael Schulte from Germany in third place (10,97%). 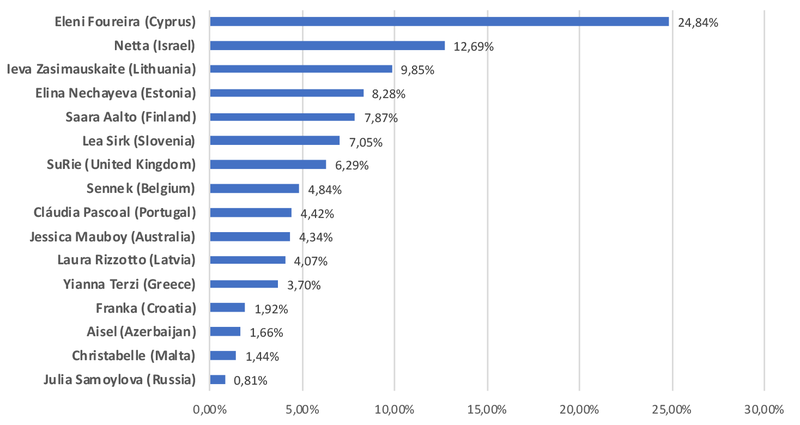 In Best Song, the second place goes to the Cypriot entry Fuego (22,98%) performed by Eleni Foureira, followed by Israel’s Eurovision winning song Toy with 19,85% in third place. 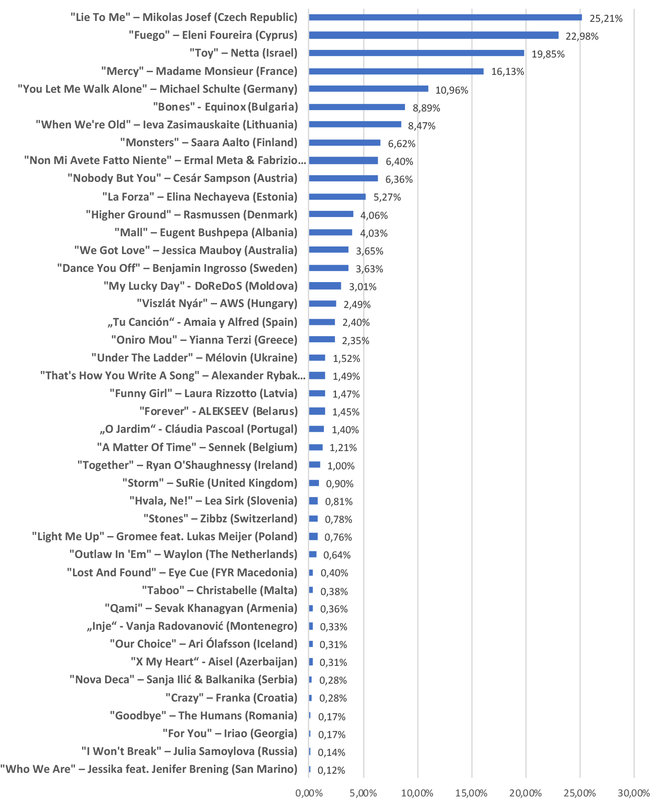 Madame Monsieur’s Mercy came fourth, and You Let Me Walk Alone by Michael Schulte (Germany) in fifth place. Congratulations to all the winners! We will get in touch with them to hand over the trophies as soon as possible. 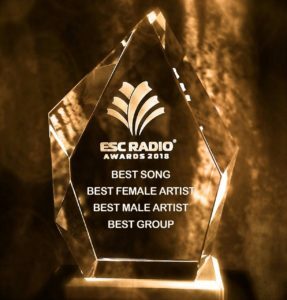 For the complete rankings of the 2018 ESC Radio Awards, see below please. This entry was posted on Tuesday, June 12th, 2018 at 11:14 am	and is filed under News. You can follow any responses to this entry through the RSS 2.0 feed. Both comments and pings are currently closed.